Sony is doubling down on it's own version of the Marvel universe with the second installment to be titled Silver and Black, based on the Silver Sable and Black Cat comics. It will arrive after the first SMU movie Venom. Today, Sony has announced that they've secured a director for this female led superhero movie. 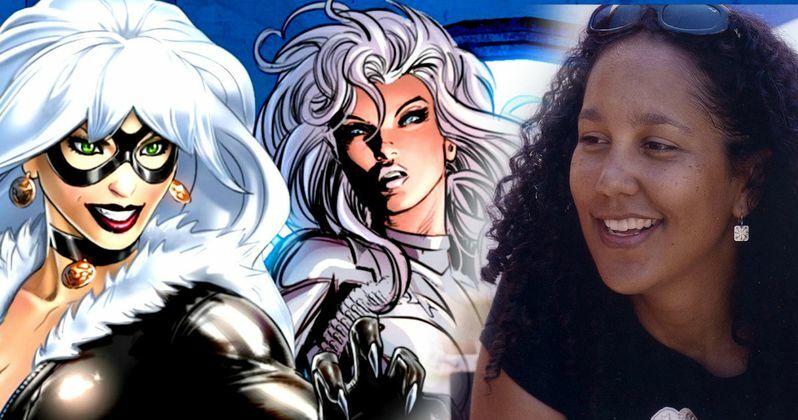 Gina Prince-Bythewood is officially on board to direct Silver and Black. She is best known for writing and directing The Secret Life of Bees. Matt Tolmach and Amy Pascal will produce the movie. It will hit theaters in October 2018. Oddly enough, this is the same frame which Venom is scheduled to launch. Perhaps The Hollywood Reporter has the date wrong and they meant to say 2019? Silver and Black is chugging along fast, and will begin shooting this fall. The movie has been in the planning stages for quite some time, going all the way back to the time The Amazing Spider-Man 2 was in production, back in 2013. Related: Is Riz Ahmed Playing Chameleon in Venom and Silver & Black? Thor: Ragnarok writer Chris Yost is responsible for the most recent draft of the Silver and Black screenplay. Co-creator of HBO's Westworld Lisa Joy is also being credited with helping to pound out the script. The story will be based on the Marvel superhero Silver Sable, which was created by Tom DeFalco and Ron Frenz in 1985. She is a mercenary who runs a company that goes searching for war criminals. Silver has served as both a friend and enemy to Peter Parker in the Spider-Man comics. Only, don't expect to see her sharing the screen with Tom Holland's Peter Parker, as this adventure takes place outside Marvel and Disney's MCU. Black Cat, who was originally played by Rogue One star Felicity Jones in Amazing Spider-Man 2, is an acrobatic cat burglar by the name of Felicia Hardy. She has a storied romantic relationship with Peter, though, as mentioned, that aspect won't be delved into at all here. Felicity Jones only appeared as Hardy in Amazing Spider-Man 2, never suited up as Black Cat, with the intent for her to appear in future installments of that franchise. That didn't happen, as Amazing Spider-Man 2 was considered a bomb. All future franchise plans were scrapped, with Sony instead teaming up with Marvel and Disney to relaunch Spider-Man. That happens this summer with Spider-Man: Homecoming, which won't be tied to Sony's Marvel Universe at all. The first SMU movie planned is Venom, which already has Tom Hardy set to play the title character and Zombieland director Ruben Fleischer in the driver's seat. These two movies will have nothing to do with Peter Parker and his friends in the MCU at all. Gina Prince-Bythewood follows a new tradition of hiring female directors for female-led projects. Patty Jenkins is leading that charge with this summer's Wonder Woman. Prince-Bythewood made a name for herself with the 2000 indie Love and Basketball. She also directed the acclaimed romantic comedy Beyond the Lights starring Gugu Mbatha-Raw and Nate Parker. She also co-created the crime drama Shots Fired, which currently airs on Fox. She won't be any stranger to superheroes by the time cameras roll on Silver and Black though. She is directing the pilot episode for Freeform's new Marvel series Cloak and Dagger, which should debut next year.